informational reference materials, and our annual retreat. The retreat, Those Left Behind, is for family members of firefighters/EMS that lost their lives by suicide.Through our dedication and compassion to behavioral health, we have met thousands of firefighters, EMT’s and their family members and have made a lot of friends along the way. We welcome any organizations that want to become involved in our journey, since the cost of our efforts doesn’t go away. We plan on doubling our efforts over the next four years. We have several options for Sponsorships. We also have partnership opportunities for 2016, which include our Survivor Retreat and Golf Outing. 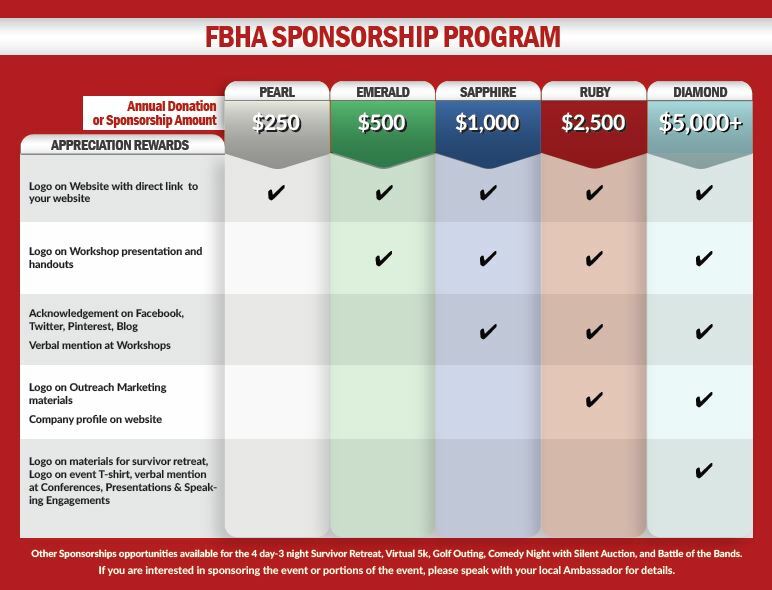 If you would like more information regarding sponsorship, please us at (847) 209-8208. Thank you.